Home News BURUKU BOAT MISHAPS: House of Reps urges Federal Govt to Construct a bridge in Buruku. BURUKU BOAT MISHAPS: House of Reps urges Federal Govt to Construct a bridge in Buruku. The members, House of Representatives on Tuesday, 6th November, urged the Federal Ministry of Power, Works and Housing to review and include the current cost of Buruku bridge in the 2019 budget proposal of the federal government before presentation on the floor of the National Assembly for consideration to stop persistent lost of lives of Nigerian in river Benue at Buruku crossing point. 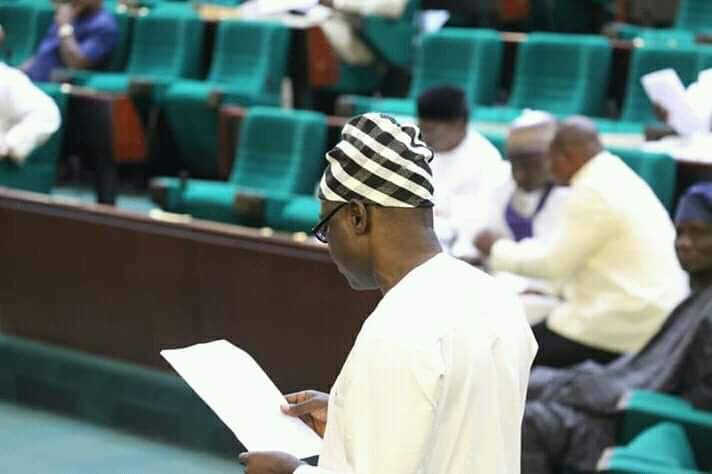 The house took the decision after the adoption of matter of urgent public importance pursuant to order eight, rule 4, standing order of the House of Representatives tagged "Urgent Need to End the Reoccurring Boat Mishaps and Loss of Lives at the Buruku Crossing Point of river Benue". This motion was moved by RT. HON. BARR. E. Y. ORKER JEV representing Buruku federal constituency in House and PDP Senatorial Candidate for Benue Northwest Senatorial district at the resumption of plenary today after their two weeks break. In his motions, HON ORKER JEV explained that the unfortunate and painful loss of lives and drowning of over 20 passengers in a boat mishap occurred on the night of Wednesday 24th Oct, 2018 when members of the Benue Motorcycle Hires Association Ugonduzua branch in Logo Local government area of Benue state were taking the corpse of their member for burial across river Benue at Buruku crossing point. According to him 17 corpse and 18 motorcyles were recovered by the rescue team of Tombo Marinetime Union (Operators of the local boats & barges) in about five days of the patrol and diving in the river. He said that such mishaps and boat capsize have become a regular occurrence at the Buruku crossing point of river Benue resulting to frequent loss of lives & properties. He also brought the attention of the House to the fact that on 18th January 2012, the House passed a resolution on the urgent need for the construction of a bridge, he therefore urged the federal ministry of works to construct the bridge and mandate his appropriation committee to ensure that construction of the Buruku bridge. Construction of the Buruku bridge was captured and funds allocated for execution in 2012 budget but nothing was done. Also, this mishap is the second major after the last in on 26th December 2013 which claimed 17 lives. The completed engineering design of the Buruku bridge in 2009 was at total cost of Nineteen Billion, Six hundred and twenty eight million, three hundred and fifty four thousand six hundred and nine thousand, thirty three kobo (19,628,354,609,33) but due to economics realities in the country and inflationary rate present, the reviewed cost of the bridge has gone up to about N40 billion based on information from Federal ministry of power, works & Housing. ORKER is worried that the delay in the award of the contract for construction of the Buruku bridge is remotely responsible for the continuous loss of lives and properties in such deadly incidents. 1. To commiserate with the government and people of Benue State and the families that lost their loved ones. 2. To constitute a high powered delegation of the House of Representatives to visit river Benue at Buruku crossing point for an the spot assessment. 3. That the federal ministry of power, Works and Housing, review and include the cost of the bridge in 2019 budget and finally mandated the House Standing Committee on appropriation to capture not less than 30% of the total cost of the bridge project in the 2019 budget to ensure availability of funds for award of contract for the bridge project. The house observed a minute silence for the victims of Buruku boat mishap.